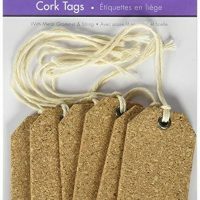 A simple way to add some sparkle to your gifts or to your Christmas tree is by making glitter gift tags. They add a beautiful touch to any gift and they can be hung on your Christmas tree too! As most of you know, I have a thing for deer. 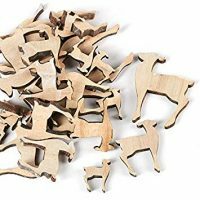 Every time I see something with deer I have to buy it, that includes mini wooden deer. I’m starting to have quite the collection of them! The first time I bought little wooden deer was a few years ago at Target. They were attached to clothespins. 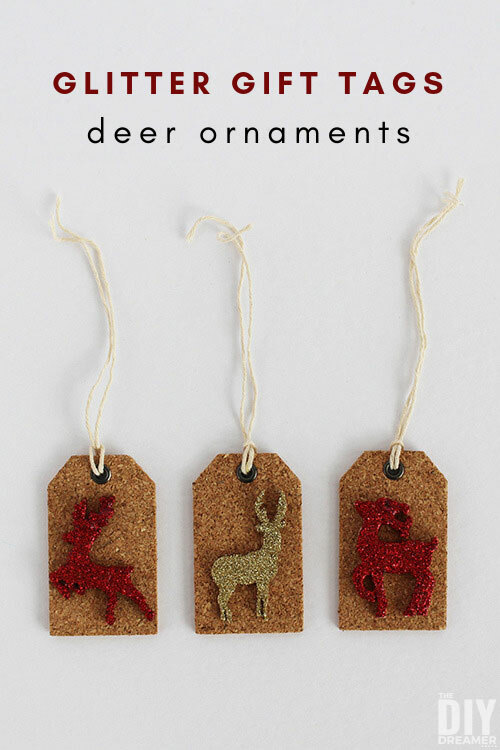 I removed them from the pins and made deer wood slice ornaments. Now they are even easier to find and often they aren’t attached to anything. hehe Sure is easier to craft when you don’t need to pull them apart. Last year I bought a couple of boxes of 30 deer for $4 each at my local hardware store. Score! I have so many of them that I decided to make glitter gift tags with them and gift tag ornaments too! I figure it’s a great way to use a bunch of them. Step 1: Place wood deer onto a piece of wax paper. 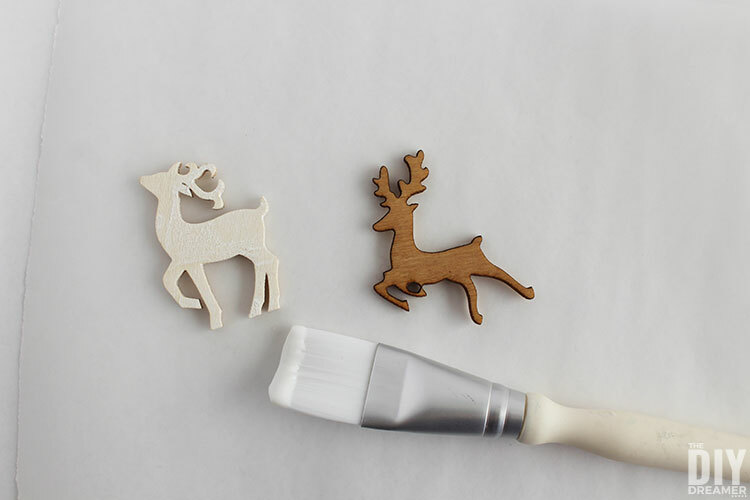 Apply Mod Podge onto the wood deer with a paint brush. 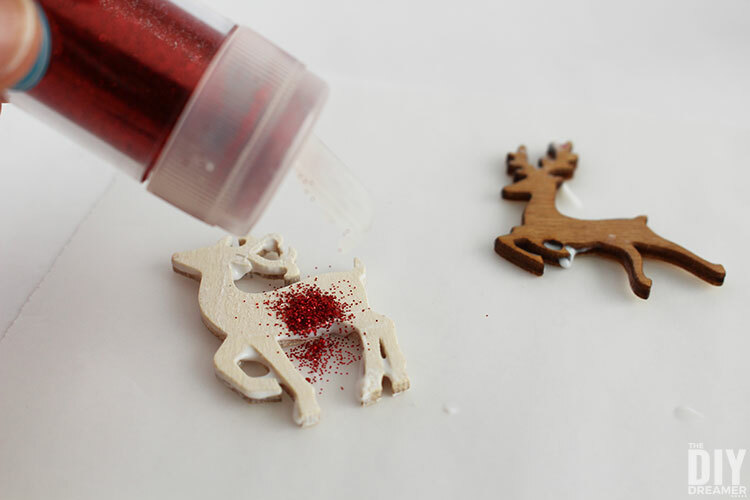 Step 2: Sprinkle glitter over the deer and allow to dry. 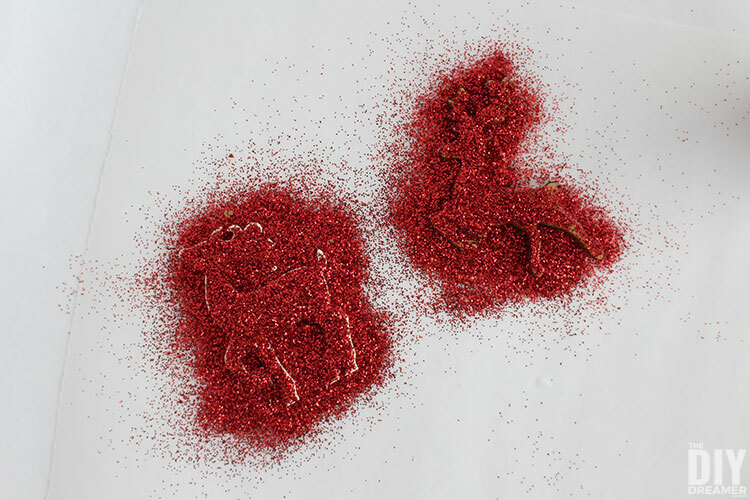 If you are using two different colors of glitter, make sure to use another piece of wax paper for the other color. It’s easier to work with glitter by keeping each color separate. Then once you are done, you can easily put the extra glitter back in its container. 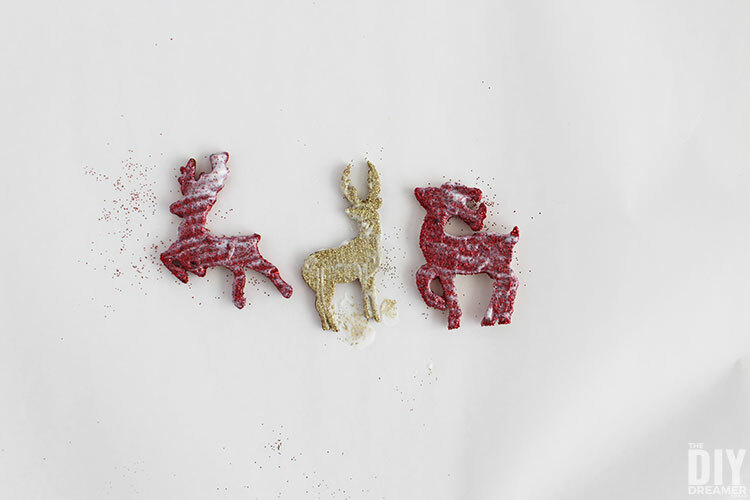 Step 3: Once the glitter has dried, remove the deer, and place it on another piece of wax paper. If you see you are missing glitter on some parts of the deer, reapply Mod Podge and sprinkle more glitter. 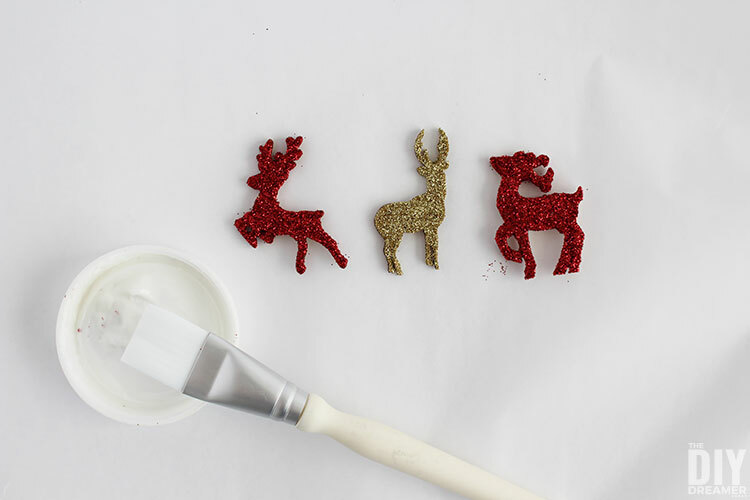 Step 4: Apply Mod Podge over the glittered deer to seal the glitter into place. 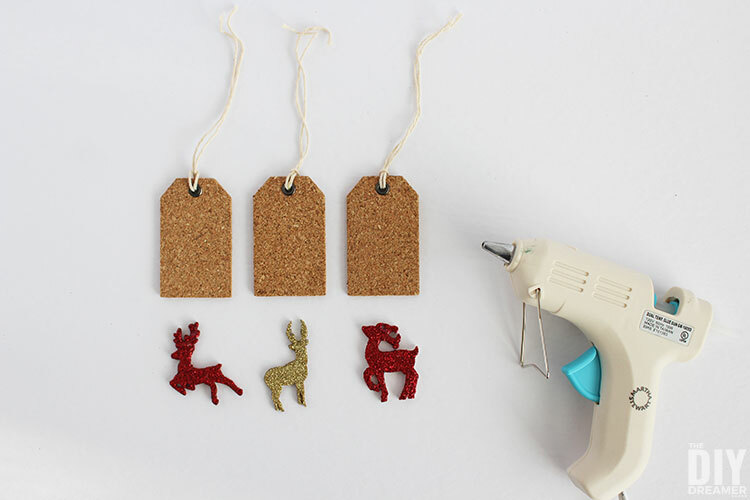 Step 5: When the Mod Podge has dried, use a hot glue gun to attach the deer onto the cork gift tags. And voilà, they are finished! Talk about simple right? I love crafts that are easy to put together. 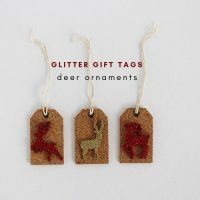 These glitter gift tags can be used on gifts and as I mentioned, they can also be used to decorate a Christmas tree! There’s nothing better than a multipurpose project, right? Have you started crafting for Christmas yet? If so, what have you made? P.S. If you like deer decorations, I also have Deer Embroidery Hoop Ornaments that you might like. Love Christmas decorations as much as I do? Check out my Pinterest Christmas Crafts DIY and Recipes board. 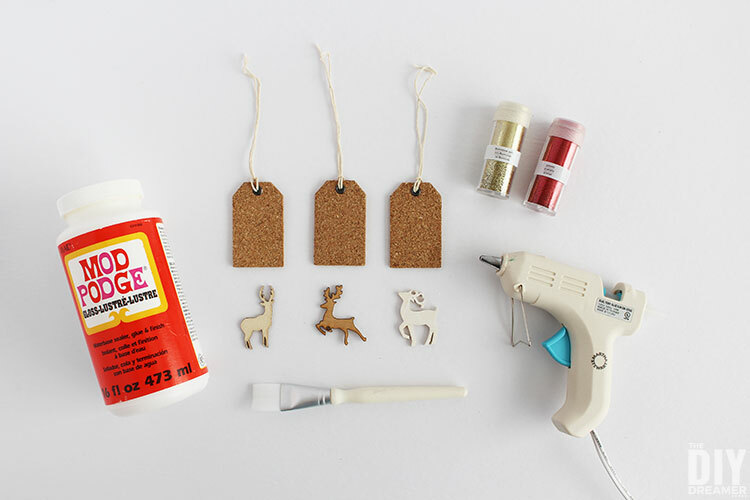 Learn how to make glitter gift tags. Perfect for gifts and to decorate a Christmas tree. Apply Mod Podge with a paint brush onto the deer. Sprinkle glitter over the deer and allow to dry. Add more glitter if needed by repeating Step 2. To seal the glitter, apply Mod Podge. Allow to dry. 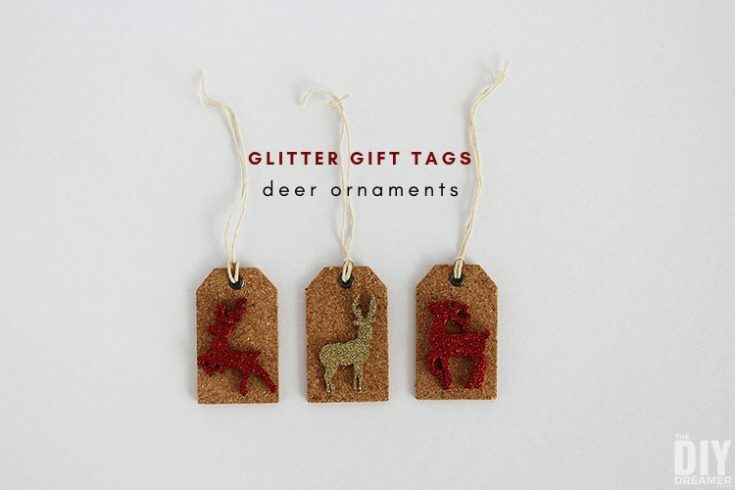 Use a hot glue gun to attach the glittered deer onto the gift tags. 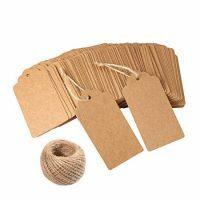 Glitter gift tags can be used to decorate gifts and to decorate a Christmas Tree.